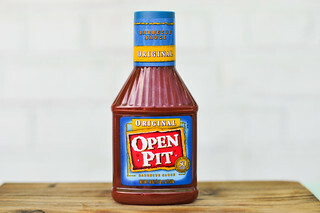 An organic natural sauce with a distinct mustard profile, this sauce neither wowed or disappointed. It had a decent flavor, but gritty texture, out of the jar. 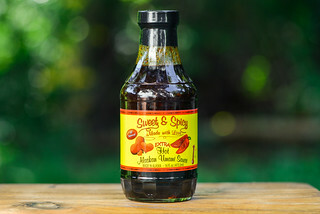 Baked onto chicken, it was very mild and mellow, with nothing really popping out to make this sauce stand out in a pack. 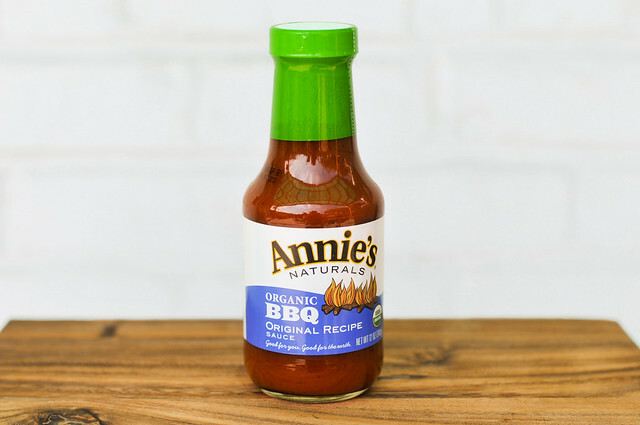 I've always seen the Annie's Naturals brand in the grocery store, mostly as dressings, but never knew that it actually got its start through barbecue sauce until now. 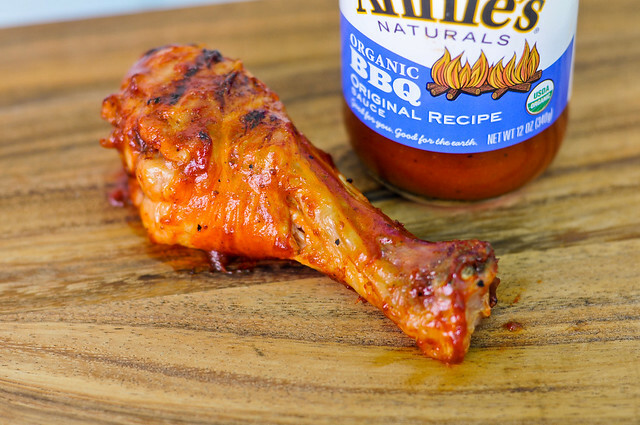 Chef Annie Christopher opened a barbecue stand in the Green Mountains of Vermont, where she developed her organic sauce to slather on chicken and ribs. The customers liked it so much that she started bottling it at home, and when the demand rose even further, she rented out equipment to step up production and started selling to local shops, which was the birth of Annie's Naturals brand in 1984. Today the business has expanded to include dressings, sauces, condiments, and olive oils, all focusing on high quality, organic ingredients. There's a pretty equal weighting between mustard and vinegar on first smell. Taking a deeper whiff and a tomato sweetness is clearly present. All in all, this sauce has a very pleasant and balanced aroma. 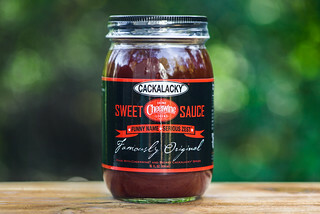 When first poured out, the sauce had a little bit of an oily sheen, a sign there was some separation going on—which may be due to the lack of additives—so it's more of a trade-off than a complaint. The opaque, medium thick sauce dripped off the spoon and had a lot of visible spices mixed in. Definitely a mustard heavy sauce, it's the first and last thing tasted. In between there's a easy kick of tangy vinegar and a little tomato, although the tomato plays second fiddle to the mustard. There isn't too much sweetness, but it's also not very spicy, it sits about in the middle between the two barbecue sauce extremes. It's not smooth on the tongue, but a little chunky and slightly gritty from all the spices. Although I might find that off-putting on some sauces, like with Stubb's, it feels very natural here and difference that made this stand out. 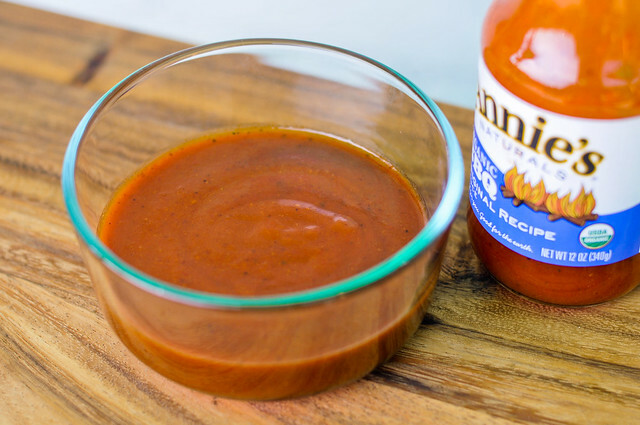 This sauce had very nice cooking properties—it coated the chicken well with a good amount of caramelization, even if the color was a tad on the light side. The flavor of the cooked sauce was pleasant, but not thrilling. The mustard still came through, but the heat brought out a little more sweetness. None of the flavors really popped though, it was very mild and mellow. Although nothing really to write home about, this sauce did perform well both cooked and out of the jar. Since the flavors mellowed when cooked, I would say it would best be used on light meats, like chicken or pork, otherwise it might get completely lost. Used as a condiment, this would pair with anything that loves mustard—I'm thinking pulled pork in particular—although the gritty texture may not be for everybody and everything. Nothing but dressed up ketsup and A1 sauce- and too dang mustardy. Avoid at all costs and buy Sweet Baby Rays bbq sauce. Annie's bbq : this is exactly the kind of bar-b-que sauce I despise. I like a nice honey barbque...it's the only way to bar-b-que in my book !